Alexis Parker has been a lot of things, from a federal agent to a corporate security analyst. After finally admitting that working with law enforcement would lead to an untimely death, she hung up her holster, but corporate work is tedious and mind-numbingly boring. The federal agent instinct is just too deeply ingrained, and now it’s her only possible saving grace. While away at a business conference, Alex receives word that Detective Nick O’Connell was shot and his niece was kidnapped. 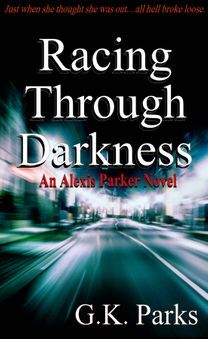 Racing back to the life she thought she escaped, Alex finds herself tossed into a sea of vigilante justice. Since the police department is unaware of the current circumstances and time is running out, the rules of the game have dramatically changed. The kidnappers demand two million dollars and expect payment in forty-eight hours. Clearly, that’s not an option, and Alex is forced to creatively color outside the lines. As she investigates, she discovers that three seven year olds were abducted, but only one of the girls has been returned safely. Forced to work with a questionable ex-SAS operative whose business card now reads K&R specialist, Alex must fight off her own demons and come to terms with who she is and exactly what she’s capable of doing. There are no holds barred when it comes to rescuing innocent children, but after some lines are crossed, the damage can never be undone. It’s a race against time to locate the girls, identify their captors, and stop the people responsible. Sometimes having a few inner demons isn’t a bad thing.